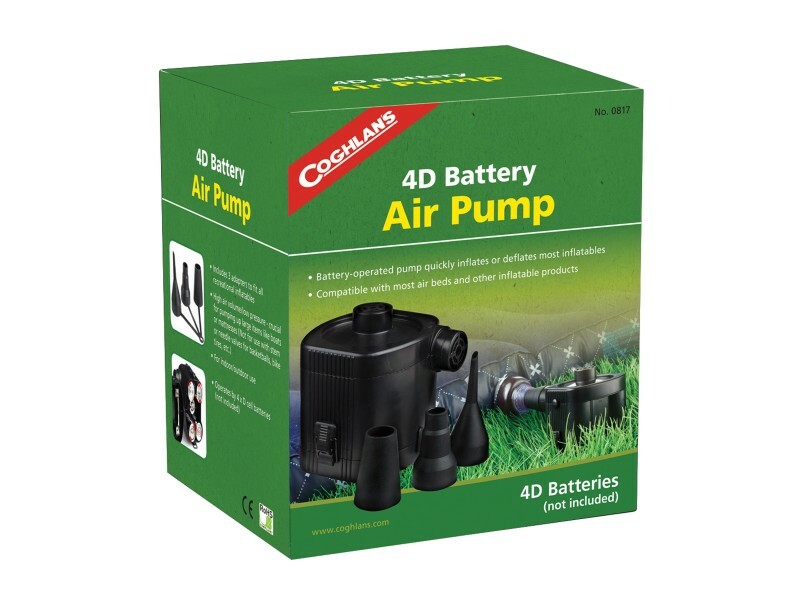 Buy 4D Battery Air Pump , from Coghlan's Ltd for $12.99 only in My e-commerce. 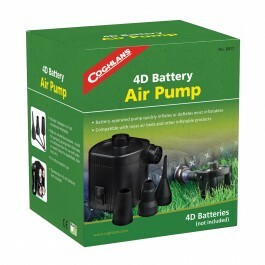 4D Battery operated air pump makes inflating pool floats and toys a breeze. Requires 4 D cell batteries (not included). High air volume/low pressure inflation and deflation port with three adapters. Not for use with stem or needle valves for basketballs, bike tires, etc.